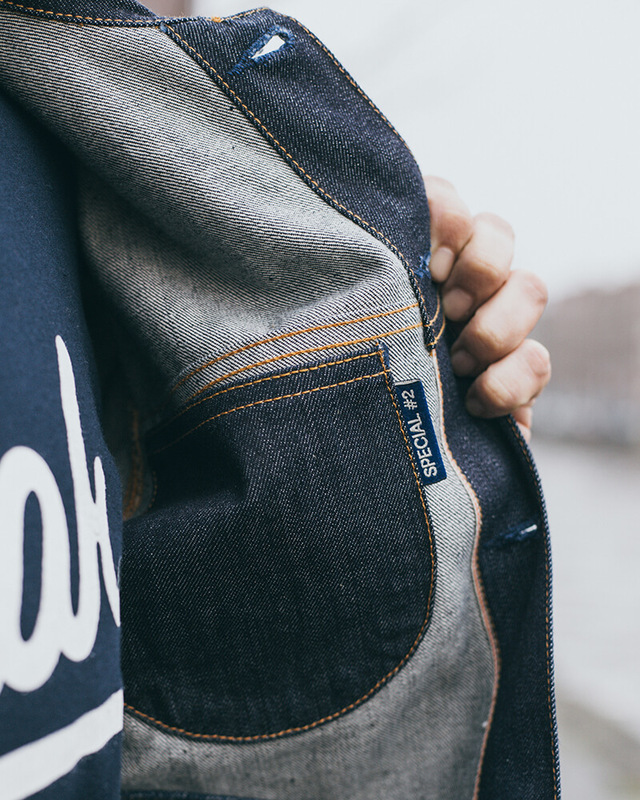 Established in 2012, Blaumann brought back the jeans manufacturing to Germany. 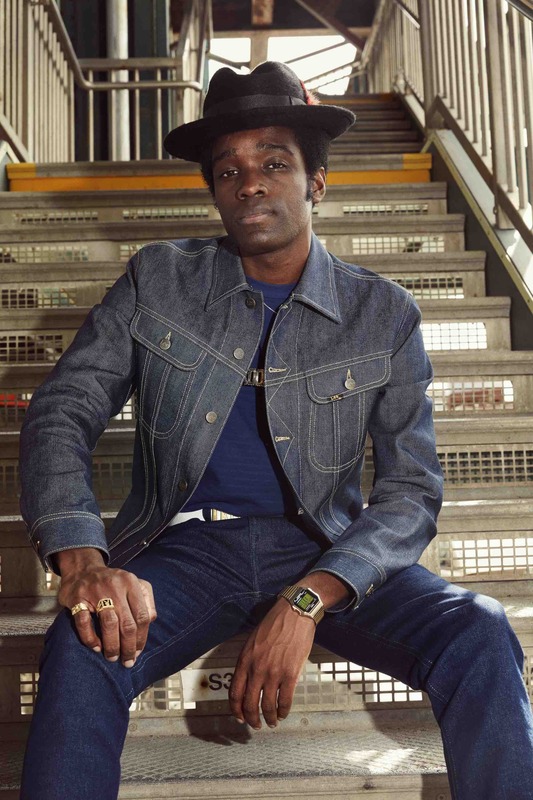 Focussing on delivering authentic jeans made of locally sourced materials and Japanese selvedge denim, Blaumann holds true to the essence of what denim is all about. Their collection is timeless, functional, simple, and designed in such a manner that it is a worthy addition to every men’s closet. Whether you are a heritage kind of guy, or more into modern fashion, either way, Blaumann’s designs will fit seamlessly. The Hemd Hell (no worries, it means ‘bright’ in German) from Blaumann comes in a slim fit. 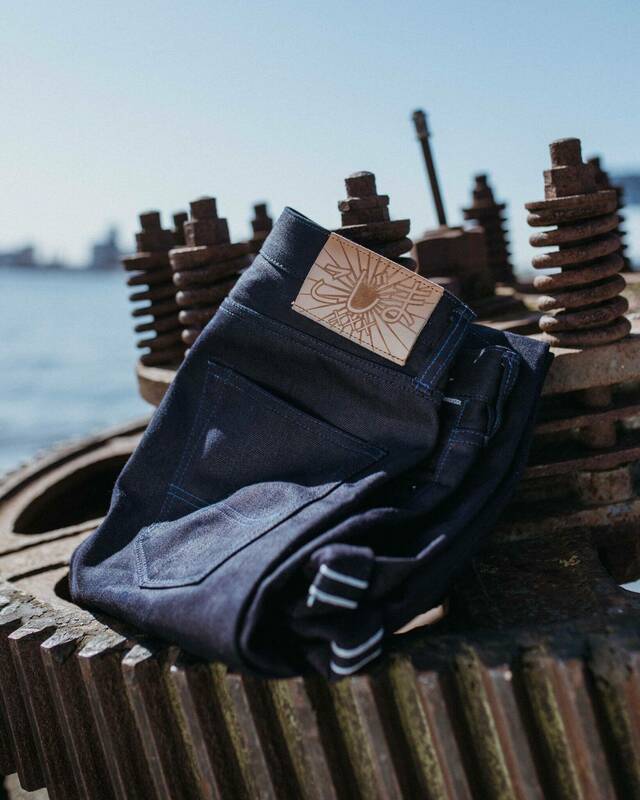 In contrast to most selvedge denim shirts, Blaumann’s Hemd Hell connects very well to the body. 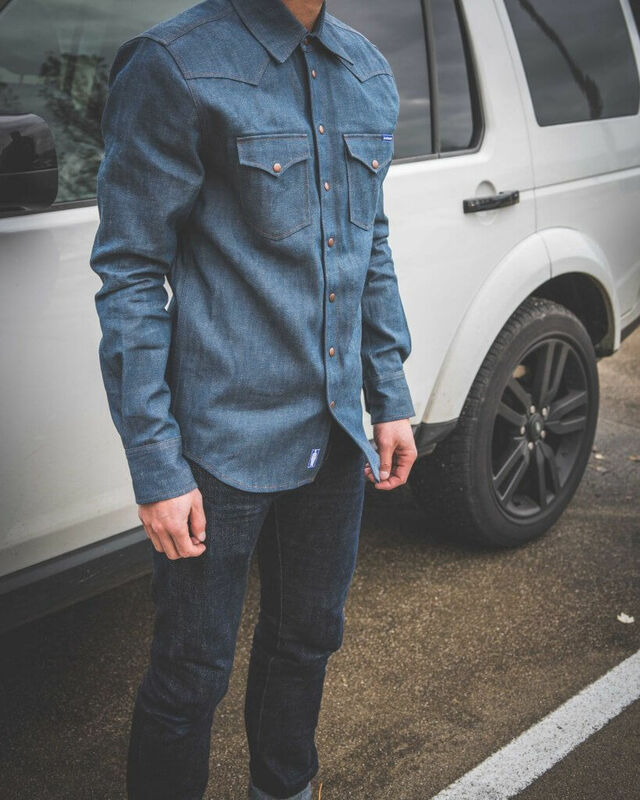 The shirt is fitted on the back in order to achieve a modern fitting denim shirt. Blaumann’s Hemd Hell is made of high-quality materials and is constructed with much attention to detail. The shirt feels solid, durable, and is finished by skilled artisans. Noticeable, when looking closer at the construction, is the thin tobacco coloured yarn that is used to sew the shirt. Although Blaumann used a contrasting coloured yarn, it is a done very subtle and makes the shirt look very clean due to the yarn’s size. The inside of the shirt is almost as beautiful as the outside. The sides of the shirt are stitched together with a lap seam, a particular kind of stitching that is much cleaner than the more commonly used lock stitch. 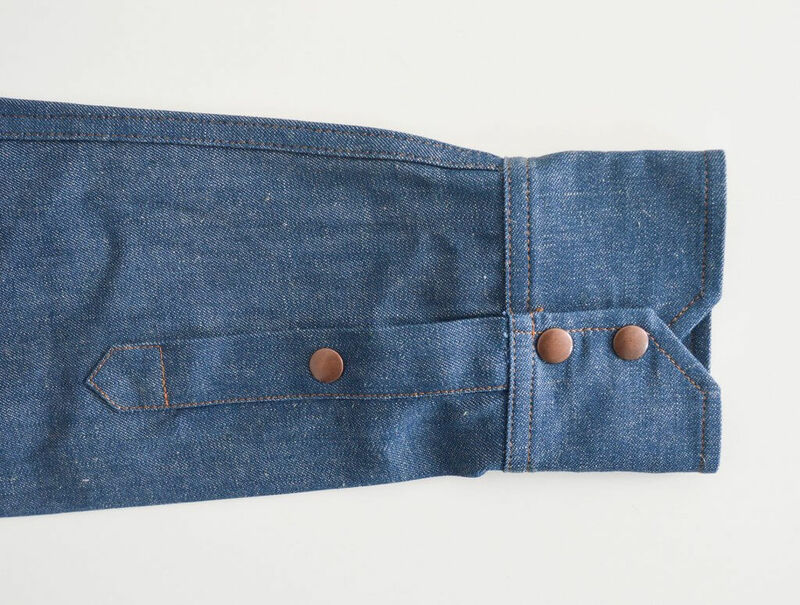 On the inside of the chest pockets, Blaumann added a piece of fabric to increase the strength of the construction. This piece isn’t particular aesthetic but is added for its functionality. The Hemd Hell features copper coloured press buttons. 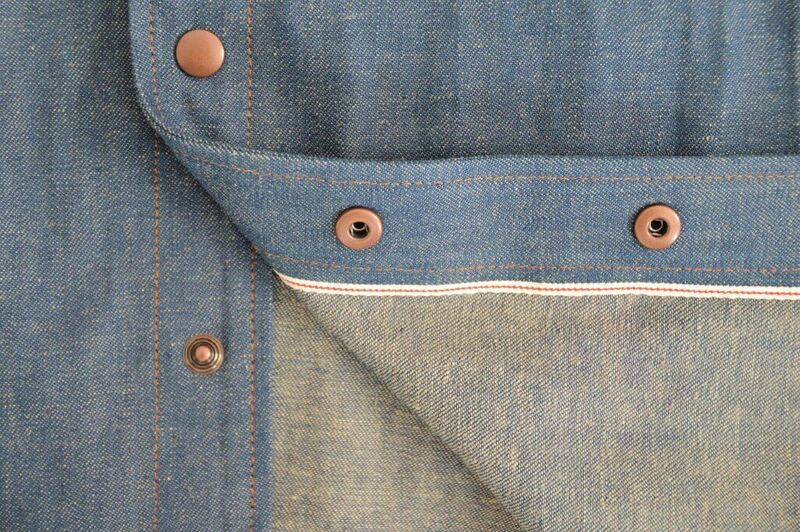 These buttons are easy to open and close and the copper colour matches well with the ‘light’ blue denim. For the design of the Hemd Hell, Blaumann drew inspiration from an American western shirt. The shape of the shoulders and the design of the chest pockets are similar to the shirts worn in westerns coming from heritage orientated brands. However, with a few adjustments, Blaumann succeeded to create a much ‘cleaner’ and modern version of a shirt that can be considered an all-time classic. We would like to highlight two details in particular. The chest pockets are both striking and subtle at the same time. The shape of the pockets is a remarkable eye catcher, and by using thin yarns Blaumann managed to give it a modern look. Closable with a press button, they will keep the belongings safe of those who actually use the chest pockets. The left chest pocket features a blue ‘BLAUMANN’ tag and is the only visible sign of exterior branding. The inside of the front opening features a beautiful red-line selvedge ID. The weft yarns of the fabric are close to light brown and therefore the white and red selvedge ID stands out. Blaumann’s Hemd Hell is exclusively made in German factories to oversee the production and to exercise control over the quality of the garments. Another important reason for the local production is to keep the whole process sustainable. The factories responsible for the manufacturing of Blaumann’s garments are rather small and are almost like ateliers. The factories are located in Bavaria, an area in the south of Germany, and close to Regensburg. 85% of the production of Blaumann, including shirts, chino’s jeans and jackets, takes place in one of those factories. The hardware like the buttons, yarn, and tags are bought from third parties that all produce their products in Germany. Blaumann is transparent about the materials they use and on their website, you can find a description of all the suppliers contracted for delivering third-party materials. 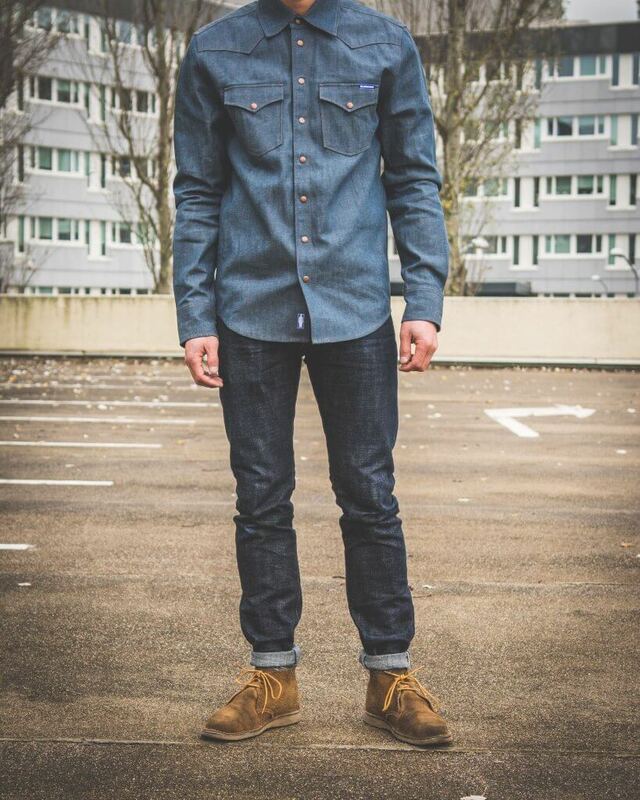 Since there is no selvedge denim manufacturer in Germany, the fabric used for this shirt is woven in Okayama Japan. The 8 oz. fabric is unwashed, untreated, and feels quite sturdy at first. However, since it comes in a weight of only 8 oz., it is easy to wear and comfortable from the start and will become even softer after wearing. Just like every garment made of an indigo-dyed fabric, we advise you to be careful wearing this shirt in combination with other light coloured garments since the shirt may ‘bleed’ some indigo. As to washing the shirt, it depends on what kind of result you are looking for. 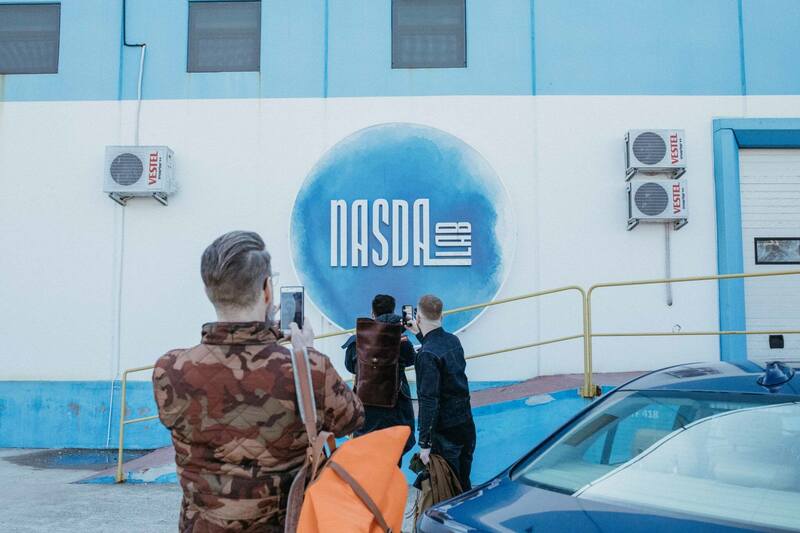 If you want to create some kickass fades, we advise you to hand wash the shirt only when your nose can no longer stand the smell. Another option is to wash the shirt once in a while. The shirt will, of course, lose some indigo, but since the shirt is made from a light blue fabric, it should result in an interesting evolutionary process. We do not encourage to not wash the shirt at all. Washing it every now and then will help recover the fibres and give the shirt a much longer lifespan. Once you have washed the shirt hang it out to dry because using the dryer will damage the shirt and will decline the overall quality of the fabric. Blaumann’s Hemd Hell is constructed extremely well and made of solely high-quality materials. All materials, except the fabric, are manufactured in Germany under good and sustainable circumstances. As to the finishing, we can only say that Blaumann did an absolute wonderful job. The Hemd Hell is properly constructed and during our review we couldn’t find a single mistake. The appearance of the shirt is good. The light blue colour is beautiful and is easy to wear with a pair of dark blue jeans. The copper coloured buttons, thin yarns, and logo tags are perfectly balanced and complement each other very well. Considering the high level of construction, the materials and the details, the Blaumann Hemd Hell most definitely deserves our recommendation. The shirt comes at a price of €199 and is available at Blaumann’s web store.